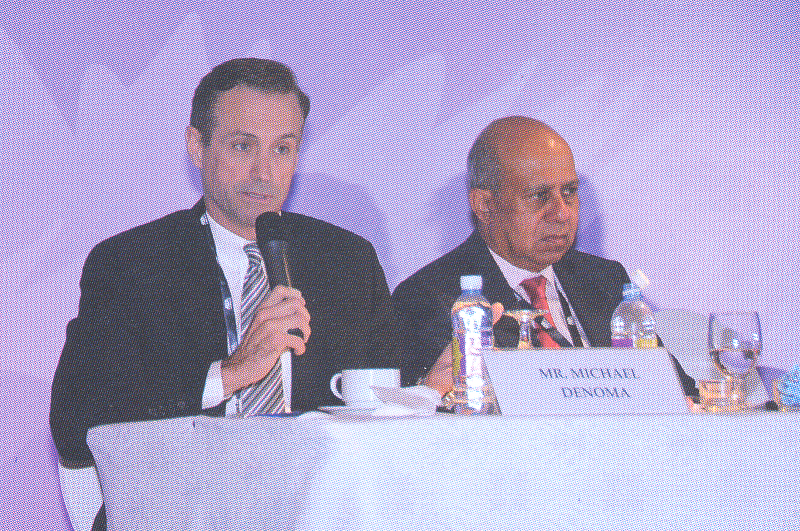 "Asia - Taking the Lead in the Global Economy"
There is wide acceptance of Basel framework by regulators in Asia. 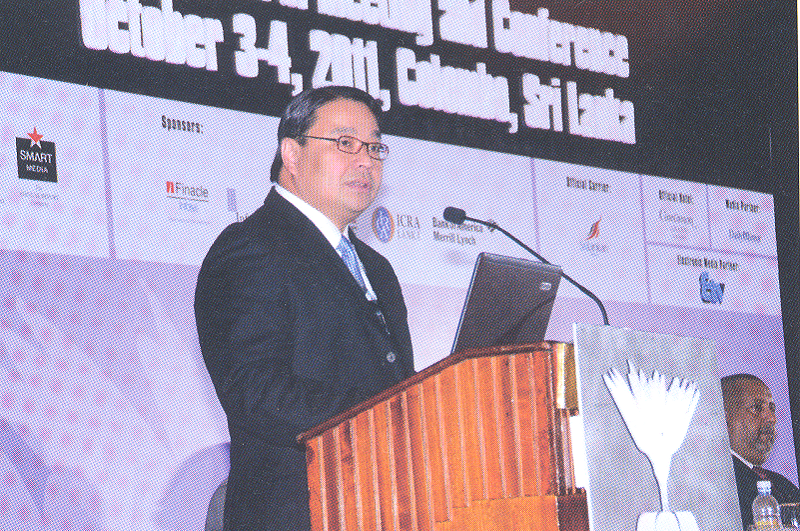 Asian banks are well capitalized and above local and global norms. Most respondents widely accepted approaches by regulators for measuring credit and market risk as at 2010 are the Standardized Approaches and the Basic Indicator Operational Risk. Asian banks appear comfortable meeting required liquidity and leverage ratios. However, further investigation may be required to assess consistency and basis of calculations. The consensus view is that the liquidity ratios proposed under Basel III will help monitor contractual maturity mismatches and funding concentration but further behavioural analysis of the data would be necessary to tackle real liquidity concerns in the long term. Most banks agree that implementation of the Basel framework will promote greater stability to the financial industry by giving value in excess of the cost of implementation, standardising disclosure requirements and contributing to a better risk management The majority are also convinced that this would lead to a better standardization of disclosure requirements in their respective countries. Revisit liquidity and leverage ratios – regulatory liquidity ratios already in place therefore consider inclusion of ratios LCR and NSFR under Pillar 2 or Pillar 3 disclosure. The same should apply for the leverage ratio as using the new simplified concept is a step back from the Basel II risk framework. Consider including debt issued by banks, investment or insurance firms to qualify as liquid assets with haircuts per credit ratings. Consider individual bank’s business model, risk profile and operating environment in assessing need for regulatory buffers, liquidity ratios. Consider a standard capital charge to capture systemic risk of the banking system within country of supervision. Tighten standards and compliance timeframes for SIFI’s. Financial education should be incorporated in each and every product and micro-entrepreneur skills development programmes to make the recipients of these financial services more responsible and accountable. In addition to the three position papers, the ABA also agreed to develop two other papers as part of its future policy advocacy work. One paper would focus on Asian Funds Passport Scheme based on UCITS (Undertakings for the Collective Investment of Transferable Securities). The paper will examine some of the developments in the Asian bond market and work undertaken in promoting the establishment of a regional funds passport system. The ultimate aim is to establish a multilateral framework facilitating the cross- border selling of Asian investment funds among participating nations and increasing cooperation between regional regulators. The second paper will focus on the Foreign Account Tax Compliance Act (FATCA) of the United States and its implications for Asian banks. Under FATCA, enacted in 2010, certain US taxpayers holding financial assets outside the United States must report those assets to the U.S. Internal Revenue Service (IRS). In addition, FATCA will require foreign financial institutions to report directly to the IRS certain information about financial accounts held by US taxpayers, or by foreign entities in which US taxpayers hold substantial ownership interest. Scheduled to be implemented in 2014, the FATCA is described as an important development in US efforts to combat tax evasion by US persons holding investments in offshore accounts. 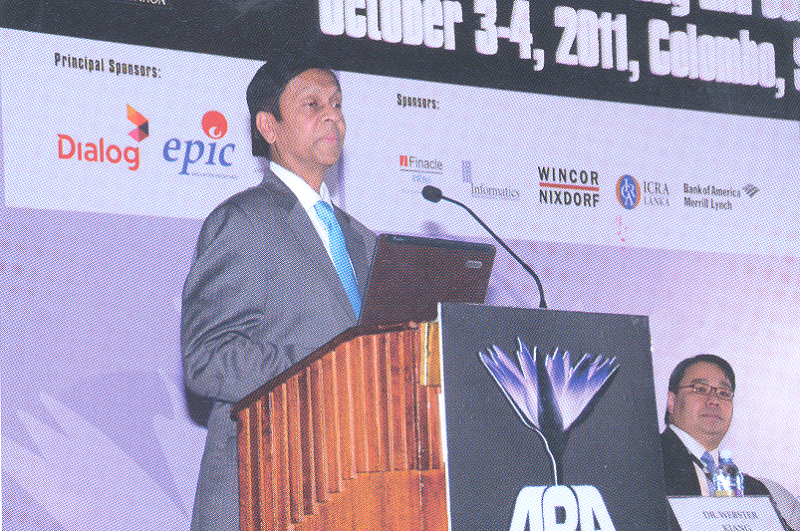 Established in October 1981, the ABA is now the biggest grouping of banks and financial institutions in Asia-Pacific. Its membership currently includes some 100 of the leading banks from some 25 countries in the region. The ABA aims to provide a forum for advancing the cause of the banking and finance industry in the region and promoting regional economic cooperation. Towards this end, the ABA holds annual meetings to broaden the perspective of members on developments and opportunities in the region. Seminars and workshops are held around the region to enable members to exchange their views on important financial issues and allow the Association to take a lead role in policy advocacy. 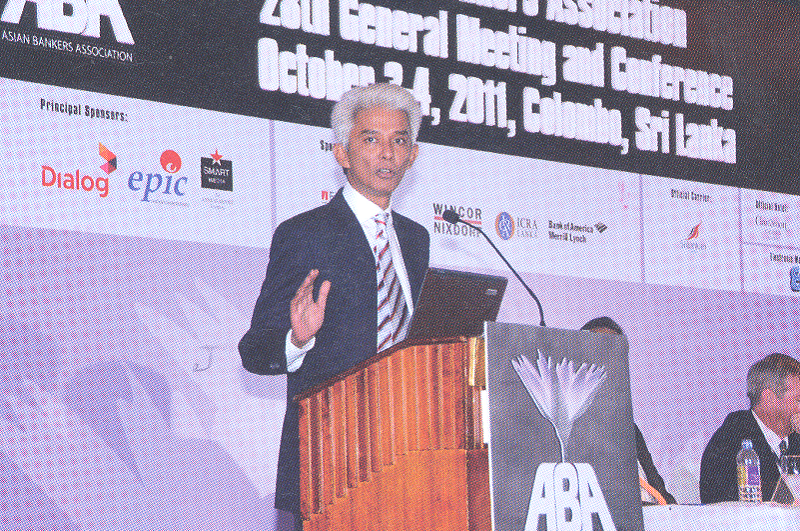 The Colombo gathering of the ABA was significant as it was the first time the ABA held its Conference in Sri Lanka. 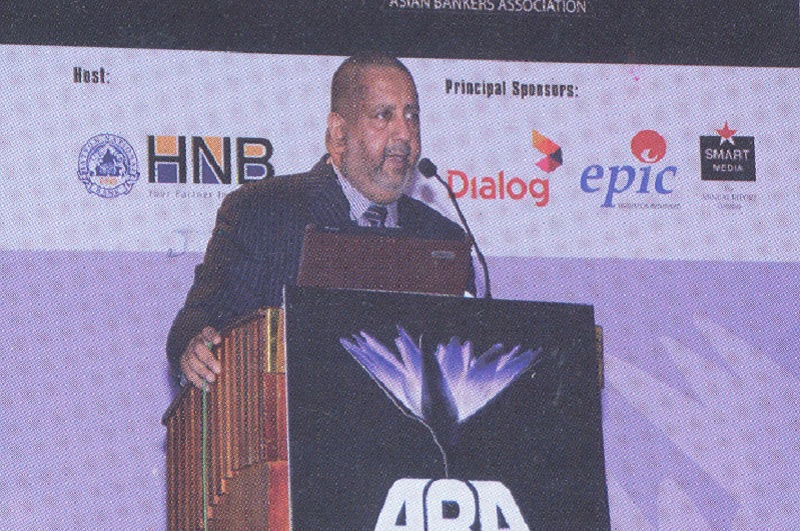 Mr. Rajendra Theagarajah, Managing Director and CEO of Hatton National Bank and the current ABA Chairman, said his Bank was honored to host this year’s 28th ABA General Meeting as it gave HNB the opportunity to share with ABA members the renewed optimism and enthusiasm of the Sri Lankan people on the country’s future. 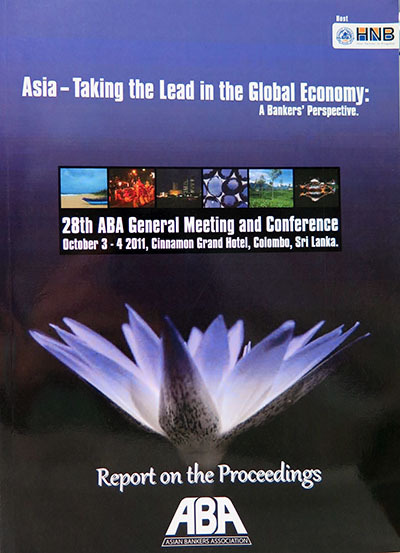 Attended by some 200 leading bankers and bank regulators from 20 countries around the region, this year’s ABA gathering took place under the theme “ASIA TAKING THE LEAD IN THE GLOBAL ECONOMY: A Bankers’ Perspective.” Its key objectives were: (a) to explore and understand what the responsibilities of Asia are in the global economy and how Asia will have to play a leading role in the future; (b) To exchange ideas covering the challenges and opportunities facing Asian banks in their emergence as global market players; and (c) to provide a forum for Asian banks to discuss international regulatory standards and the way forward. Sri Lanka Central Bank Governor Ajith Nivard Cabraal, addressed the Opening Ceremony of the Conference as a Special Guest of Honour. In his speech, Governor Cabraal noted that the Asian economies are coming to the forefront, serving as the engine of global economic growth and delivering a sense of economic stability for the past several years. He stressed, however, that maintaining the momentum would not be easy and presents several risks and challenges. 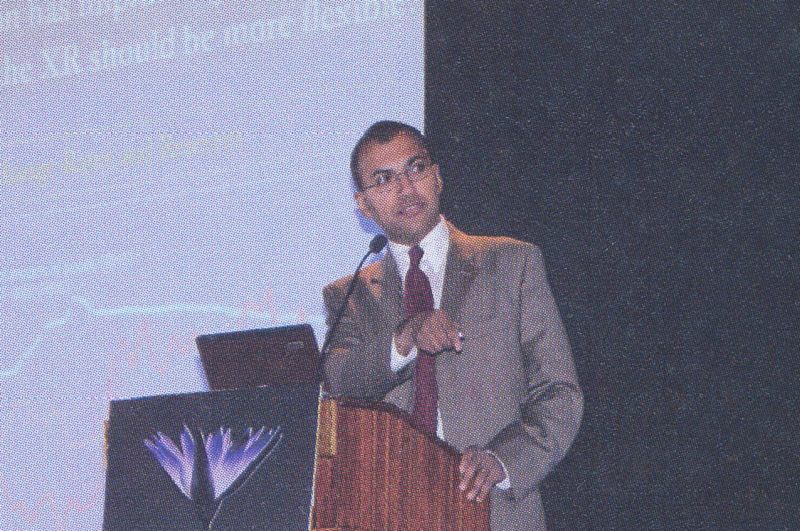 These challenges include, among others, (a) balancing the innovation needed with the required regulatory framework; (b) financialization of the commodity market, with many commodities becoming financial instruments, which could result in imbalances in the global economy; (c) rebalancing of investment strategies, given the fluid circumstances and the need to move decisively and provide confidence to the stakeholders about the decision; (d) the need to maintain a balance between growth and stability – a situation that is always difficult to manage; (e) maintaining dialogue and interaction between government and the private sector to ensure expectations; and (f) the need to establish confidence in the banking sector and to maintain policy consistency and clarity. He concluded by saying that the world will look to Asia for growth and stability and therefore it is important for Asia to be robust and stable. James Quigley, Executive Vice Chairman, International Corporate and Investment Banking at Bank of America Merrill Lynch as Keynote Speaker presented his views on the state of the global economy – particularly in Latin America, North America, Europe, and Asia – and the challenges and opportunities for banks. In his presentation, Mr. Quigley examined how large investors are contributing to “disintermediate” the markets and how large financial institutions are pursuing similar lending strategies at home and abroad. He advised Asian banks to focus on what they do well and do that better than anyone else, adding that diversity in business models and business priorities will serve financial systems well and eliminate some systemic risks. On financing strategies, he emphasized the need to: (a) consider middle markets distribution when accessing international capital markets, (b) develop a sophisticated and programmatic approach to leveraging both local retail and regional sponsorship for credits/equity; and (c) extend duration of liabilities where appropriate given low nominal yields everywhere. Mr. Quigley also noted that Asian banks appear to be well capitalized with current bank capital levels across the space higher than some international peers. Experts from the banking sector and government shared their views and perspectives on the following topics: (a) the business models of Asian banks and their role in the global stage; (b) the relevance and applicability of Basel II/III to Asian banks; (c) challenges and opportunities for Chinese and Indian banks to emerge as global players; (d) implications of the rise of China and India on banks in other emerging countries; (e) financial inclusion and the challenges and risks faced by banks; (f) harnessing technology in financial inclusion efforts; and (g) banking in a climate-challenged world. In addition, a CEO Forum featured a panel of CEOs and senior executives, both from the banking and non-banking sectors, who elaborated on their perspectives on issues of current interest to the banks and the business community as a whole. 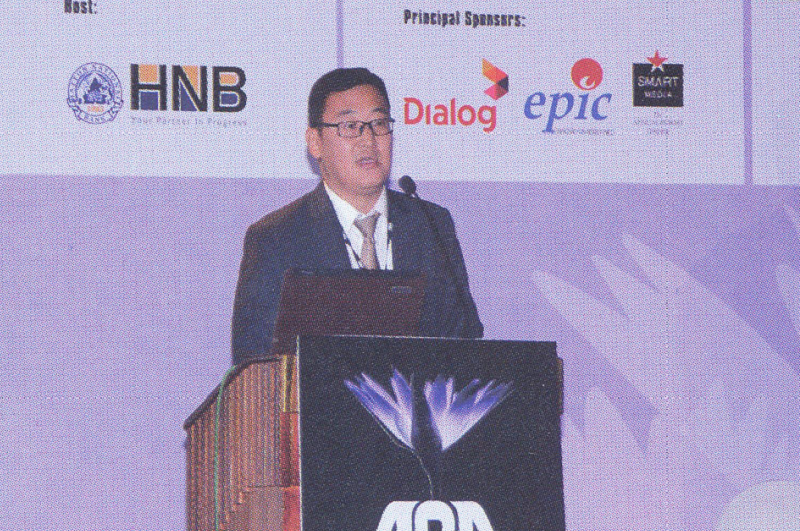 “Discover ABA” – Held on the morning of October 3, the session featured country presentations by the host bank (Hatton National Bank) and by member banks from three selected ABA member-countries, namely, Mongolia, the Philippines and Taiwan. 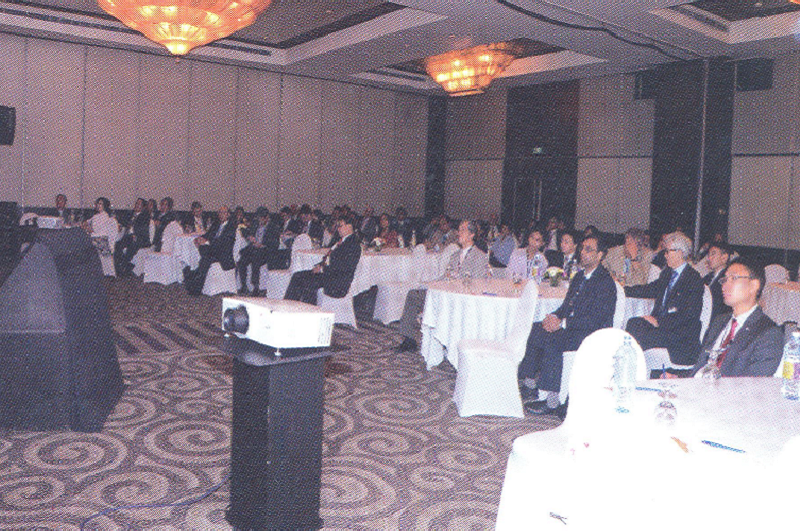 The country presentations were designed to provide the delegates the opportunity to obtain more information about the market conditions in the presenting countries. 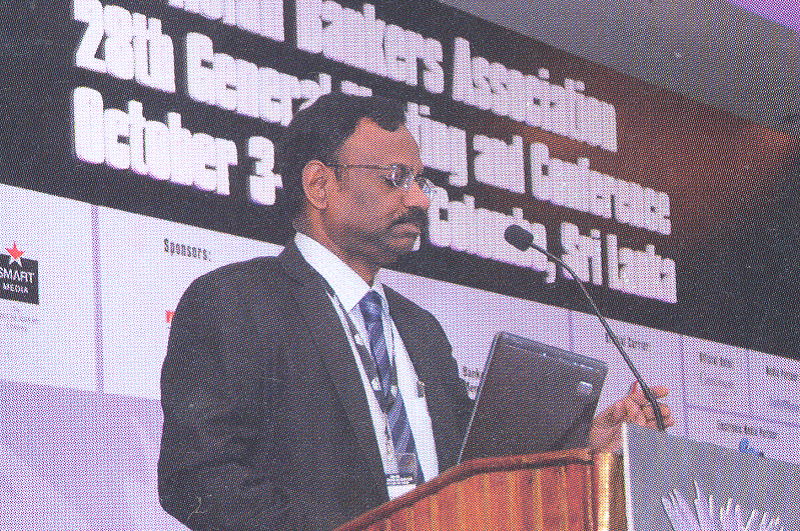 The delegates acknowledged the importance of the session – which was introduced for the first time as part of the annual meeting’s program during the Colombo Conference – as another valuable platform for ABA members to know more about each other and about the investment and business opportunities in their respective countries. They agreed to continue this initiative and make it a tradition in subsequent annual Conferences, with each member country given the opportunity to make its own country presentation in the future. In the spirit of friendly competition, a committee composed of senior officers from Hatton National Bank was formed to select the Best Country Presentation, which was later won by Chinggis Khaan Bank from Mongolia. HNB Knowledge Sharing Session – Held on the morning of October 5, this session featured presentations by key officers of the Hatton National Bank on the bank’s Information Technology Infrastructure; Risk Infrastructure; and Treasury Management, Systems and Controls. Prior to the session, the participants were treated to a tour of the HNB Museum. Representatives from Vietnam, Thailand, Iran and Taiwan joined the HNB sessions. The ABA admitted four new members, including Commerzbank from Germany, Saman Bank from Iran, International Bank for Economic Cooperation from Russia, and Parsian Farda Investment & Financial Counsellors Institute from Iran. The ABA agreed to hold its 29th General Meeting and Conference in 2012 either in Mongolia or India, pending confirmation from either ABA member banks in these two countries to host next year’s Conference in 2012. The exact date and venue will be announced later.